The year is drawing to a close – and what a year it has been. At the start of 2018, the total crypto market cap reached nearly USD800 billion. Twelve months of slow bleeding later and here we are, at just over USD100 billion market cap. This year has been a struggle we’ve all felt, but for those who have earnestly battled and built throughout the year, there will be better times ahead. Regardless of the downward price action, fundamentals are progressing. Cryptocurrency is moving forward, one step at a time. Liquid has weathered the storm. In Q3 we released our exchange. Q4 has been focussed on optimizing and stabilizing the platform so that we can scale and add the new features we know you have been waiting for. We continue with our pro-regulation stance. The Japan Financial Services Agency has granted the Japan Virtual Currency Exchange Association (JVCEA), of which we are a member, with the power to serve as a self-regulating body in Japan. This will provide exchanges like ours with additional flexibility, benefitting all Liquid users. To our clients and supporters around the world, I want to thank you for sticking with us during this challenging year. Next year is when the fun really begins. Liquid will evolve. What you see now is our starting point. There will be surprises along the way and we will exceed the expectations of our community, whether you have stuck with us since the QASH token sale or joined more recently. We have set ourselves up for strong moves in 2019. But before that, here’s what we achieved in Q4 2018. We strive to hire the best talent and retain them. We continued to grow in Q4, adding key hires to our headcount and bringing us to 327 staff around the world. Want a career in crypto? We are still hiring. Liquid is a global exchange, but to truly cater to all global users, improved language support is imperative. We now offer English, Japanese and Korean language support, with Simplified Chinese and Traditional Chinese to follow shortly, and many more languages to come. A Google Translate feature has also been built into Liquid to allow users to feel more at home, wherever they are from. Our trading volume reached new heights this quarter. Liquid had days over USD500 million in trading volume, and we even breached USD700 million on one day in November. BTC/JPY continues to be our best performing pair and we have maintained the lion's share of the BTC/JPY trading volume worldwide. Liquid is one of the world’s biggest true fiat-to-crypto exchange in terms of volume. Our efforts recognized by a Blockchain Transparency study, showing our BTC/JPY trading as one of the few top pairs with 100% real volume. 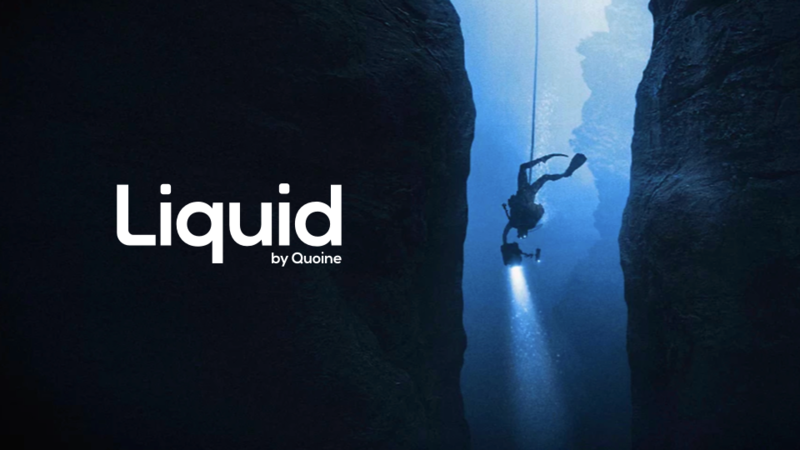 This quarter we rolled out the Liquid blog to provide updates on Liquid along with educational pieces, market analysis, TA, insights and more. The Liquid blog plays a key role in our communication and marketing efforts. In November we celebrated the one year anniversary of the QASH ICO. We are forever grateful for the investors out there that are believers of the Liquid vision. 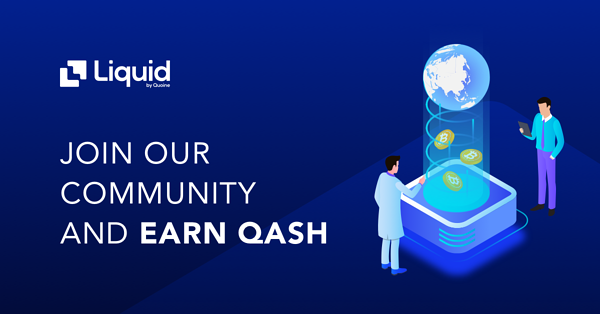 To celebrate the QASH anniversary we launched the new Liquid referral program. You are now able to refer your friends and family to Liquid through your affiliate link. For every person that you refer, you and the referee will both receive USD10 paid in QASH once the referee trades over USD100 on Liquid. 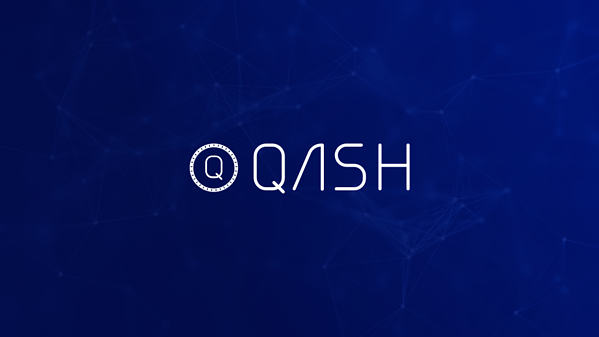 Alongside the referral program we are starting up a few other opportunities for you to earn some additional QASH. It’s always important to know where you are heading next. The new Liquid roadmap lays out the basis of our vision for disrupting finance. For ultimate flexibility, we have now added the ability to partake in token sales directly with USD. We believe that adding this option allows our token sale platform to appeal to a new wave of cryptocurrency investors. In October we listed TaTaTu (TTU), Mithril (MITH), Daostack (GEN) and Ontology Network (ONT). To celebrate the listing of Ontology on Liquid, we hosted an ONT trading competition and offered some incentives for Ontology fans to sign up to Liquid. During the competition period Liquid facilitated a total accumulated ONT trading volume of USD46,889,893.90. We have also listed two stablecoins, GUSD and USDC. Stablecoin trade fees on Liquid are among the lowest in the industry, at 5bps (0.05%) for both maker and taker. We believe that the stablecoins add an additional layer of flexibility for traders, and we look forward to future collaboration with Gemini and Circle. As we strive to improve cryptocurrency accessibility, we were thrilled to team up with Electroneum to add trading pair for ETN against Euro. This helps Electroneum move towards the goal of being a global mobile currency. This quarter we have hosted five token sales. Four of the token sales have completed – XAYA, HARA, iCash, and Asobi. QCity is ongoing, so you can have a look on the Liquid Token Sale marketplace. Mike was live on Bloomberg TV at the start of December talking about the cryptocurrency market and how Liquid is an important piece of the puzzle. Innovation is what we strive for, so we were honoured to be recognised by KPMG and V2 Ventures in the 2018 Fintech 100 Leading Global Fintech Innovators list. TokenInsight curated an exhaustive list of cryptocurrency exchanges, evaluating a number of different aspects to ultimately provide an overall rating. Liquid received the best score for User Experience Friendliness. ICORating.com recently conducted an exchange security report and issued Liquid with 4/4 for User Account Security, with an overall security score of B+. Katherine Ng, Head of Marketing, joined Michael Waitze on his podcast to talk about her journey towards cryptocurrency, and what makes Liquid so special. Back in October Mike was on the Crypto 101 podcast talking about Liquid and sharing his thoughts on what it means to be a regulated exchange. Liquid senior staff have been spreading their knowledge at a variety of conferences this quarter. Mike took to the stage at Web Summit in Lisbon, discussing the rise of the crypto exchange. Head of North America Nick Chong gave a talk at the MJAC Blockchain Summit by CryptoCompare in London about the liquidity problems in cryptocurrency. Global Head of Operations Seth Melamed was on a panel discussion at Blockshow Asia discussing cryptocurrency in Japan and what’s required to create a crypto friendly society. He also joined a panels at the United Conference of Internet Money, the Israel Blockchain Summit, and the South East Asia Blockchain Summit. Head of CEO Office Katsu Konno was on a panel discussion about Fintech Outlook in Asia Pacific at Finners City Conference. Head of Global Marketing Katherine Ng was at FUTR Asia discussing the use of customer data in the blockchain space to optimize products. We held meetups in Tel Aviv, Jakarta, and London. The London meet up began with a panel discussion, with speakers from Coinbase and Lendingblock joining Katsu, moderated by John Detrixhe from Quartz. Our Net Promoter Score (NPS) performance continued to achieve a positive level with both Corporate and Individual users awarding us a positive score. Corporate achieved a massive +78 and Individual a very respectable +20 to +30. We have begun a new process of Wallet and Transaction monitoring, which will keep us much more secure and help us continue to stand out from the crowd. We always we aim to improve our KYC processing efforts. This quarter we have achieved a higher percentage of successful KYC passes than we ever have achieved before. We have continued to structure the Customer Support team to be task specific, creating experts in everything with strong backups; we have a KYC team, an Intercom Team, a Video Verification Team and Shift Leads responsible for each one. This ensures we are able to cater precisely to our customers needs in the best way possible. Over the past month we have brought in two new systems to help record user actions and give us a better opportunity to identify where they are having issues. This is excellent for our customer service team for enhancing the customer experience. We are now able to build a roadmap of where we can reach out to our customers and help. In Singapore we worked with the Singapore Bitcoin Club to help the crypto community improve their trading skills with a trading workshop. More recently, we conducted a Crypto Masterclass with the Singapore Bitcoin Club, focussed on improving investment and trading. From all of us at Liquid, we want to thank you for your continued support and for joining us on this journey as we march into 2019 with our heads held high, ready for the next phase of Liquid and democratizing finance.